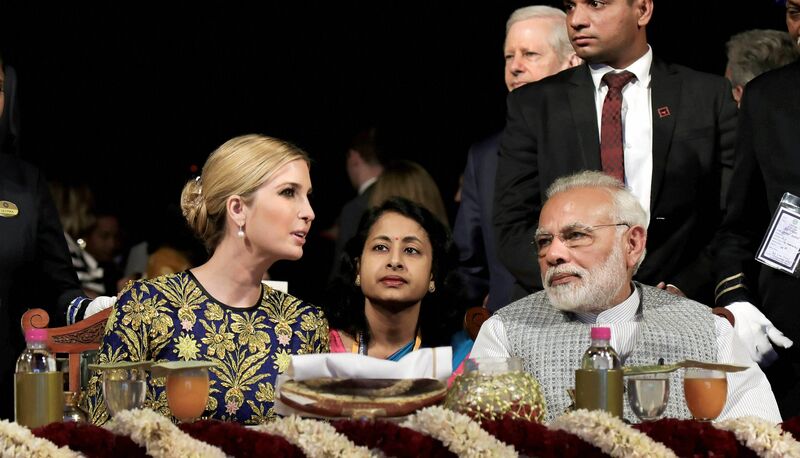 New Delhi, Nov 30: Accusing Prime Minister Narendra Modi of violating protocol, the Congress on Wednesday raised objections over his hosting a dinner for US President Donald Trump's daughter Ivanka Trump in Hyderabad. "The Prime Minister broke all traditions and violated protocol and hosted a dinner for Ivanka Trump in Hyderabad. "When she is being taken care of more than a head of state, then praise is bound to come," said Congress spokesperson Deepender Singh Hooda. "If the Prime Minister wanted to host her, he could have done it privately in Delhi. She could have flown in. Eager for praise and impatient for a photo opportunity, Modi reached Hyderabad to host a dinner for her...," he said, adding that India had dignity and self-respect and Trump should have met the Prime Minister here instead of him going to Hyderbad. "Though India welcomed her, Trump was not a head of state. Therefore, the entire process raises questions," he added.